Congratulations to all our families! 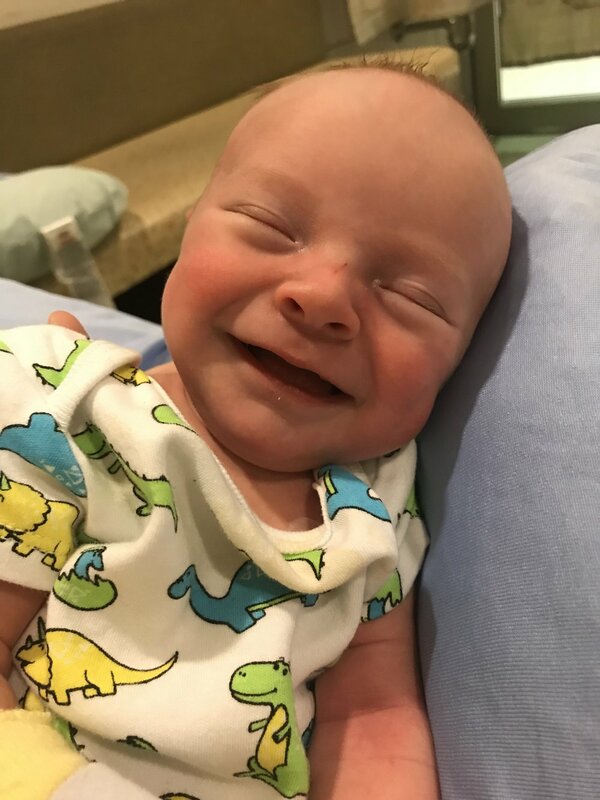 William Storm Tyson was born March 1st, 2019 in Calgary. Quinn, Vanessa, and Trinity were so excited to welcome William into the Moerike family on March 6th. He spent his first couple weeks practicing his skill of charming everyone he meets in the NICU in Calgary and then also in Edmonton. William's new hobby of meeting new friends and family has kept him busy since we all got home. Trinity is thrilled to finally be a big sister and brags to her friends about how "he's so cute!" We are so grateful to William's birthmother, Samatha, for her love, strength, and thoughtfulness throughout this entire process. Open adoption builds extended families and we are so glad to be a part of yours. Thank you to the AO team in both Calgary and Edmonton! Your skill and passion astounded us and we are so glad to be on this journey with such a great organization. 207, 5940 MacLeod Trail SW. Copyright © 2015-2017, Adoption Options Alberta Ltd. All rights reserved.